Alex McLeish and Leigh Griffiths need to resolve their differences "for the greater good of the country", says former Scotland international Lee McCulloch. 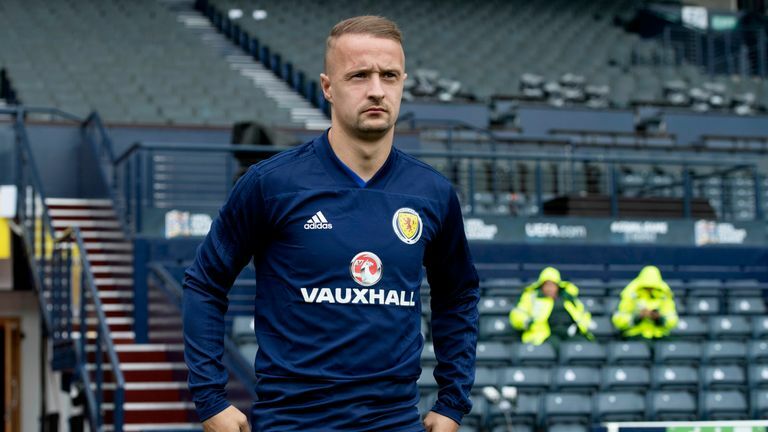 Griffiths withdrew from the Scotland squad for the matches against Israel and Portugal this month, saying he wanted to remain with Celtic to work on his fitness. McLeish insisted there were no issues between him and the striker, although he did acknowledge Griffiths was unhappy at being left out of the team to play Albania last month. McCulloch believes there is an issue between the pair, but said of Griffiths: "His country needs him. He's a natural goal-scorer that we haven't really got at the moment. "So let's put our differences to the side and let's do it for the greater good of the country. Let's get them both around the table, have a chat, and hopefully get him in the squad for the next game." McLeish is coming under increasing pressure just eight games into his second tenure as Scotland manager, with Sunday's 3-1 home loss to Portugal their fifth defeat in their last six matches. However, McCulloch - who played under McLeish during his first spell as the national team manager 11 years ago - believes his former boss deserves more time. He told Sky Sports News: "There is hope. We can still finish top of the (Nations League) group. We've got some fantastic players in our squad - it's just getting them to gel together. "It was never going to happen at the click of a finger when the new manager comes in. It's a tough job. "It's easy for people to get carried away but it's not an easy job for the manager. I think we all should get behind him and hopefully we can finish this Nations League at the top of it."